A city that hardly sleeps, Tokyo is among our top destinations around the world and is a place where amazing cuisine, culture and city life converge. Tokyo has literally everything for everybody from breathtaking sights and sounds of nature to bustling city life overflowing with mirth and energy. It’s hard not fall in love with a place like Tokyo when it can offer you so much but we must admit that the city itself can prove to be rather daunting and the locals, intimidating if it’s your first time there. The Japanese people are very strict when it comes to the way they carry themselves and are also quick to judge those who aren’t—basically us tourists. And amidst the glamour of it all, Tokyo is also home to many dubious areas which tourists should definitely steer clear of. To avoid receiving death stares, getting told off and unnecessary trouble, here are 10 things you should definitely take note of before travelling to Tokyo, Japan. If you have a reservation at a restaurant or are planning to meet someone who’s a local, always try and abide by the time that you set to meet because to a Japanese person, being late is hugely disrespectful and it shows that you do not value their time. 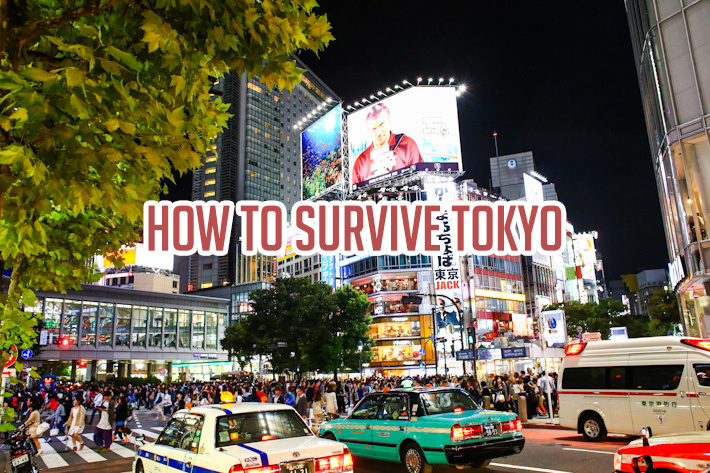 Tokyo is pretty much a safe place through and through but there are some places that still should be avoided. 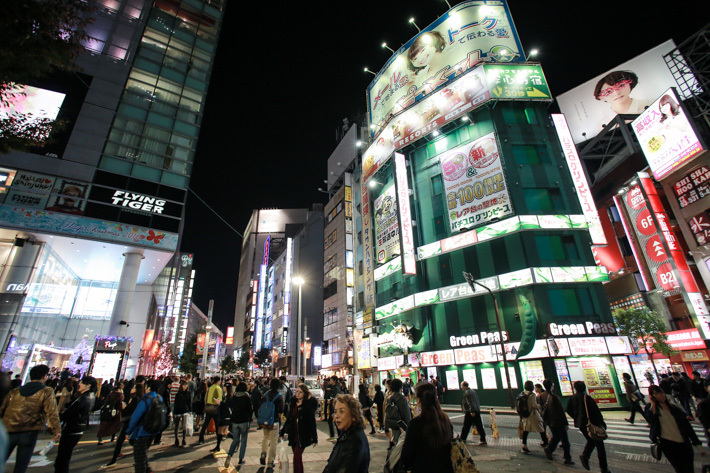 One such place is Kabukicho. This entertainment and red-light district in Shinjuku is filled with foreign (usually Nigerian) touters roaming the streets. If you can, avoid eye contact and politely decline whenever you can. The next thing you’ll want is to get conned into a dodgy place, spending ridiculous amounts of money on “entertainment”. The reason why we never take taxis in Japan? For the very simple reason that it’s too darn expensive. A short, 10-minute ride cost us just about S$20 once and it wasn’t even during peak hour. Unlike here in Singapore, commuting via public transport is a very quiet affair. Hardly anyone talks and even if they do they make it a point to whisper. This is done all out of respect and consideration of other people’s space. Perhaps one of the most difficult things to find in Tokyo is a dustbin, yet you’ll always find that the streets are literally spotless. Littering is a very big no-no and if a local ever spotted you do it, you’ll likely get reprimanded for it. When it comes to adopting a herd mentality, no other country does it better than the people of Japan. Mind you we’re not stereotyping, this was literally told to us by a local. Littering is largely frowned upon in Japan and smoking is almost always limited to specific smoking zones. 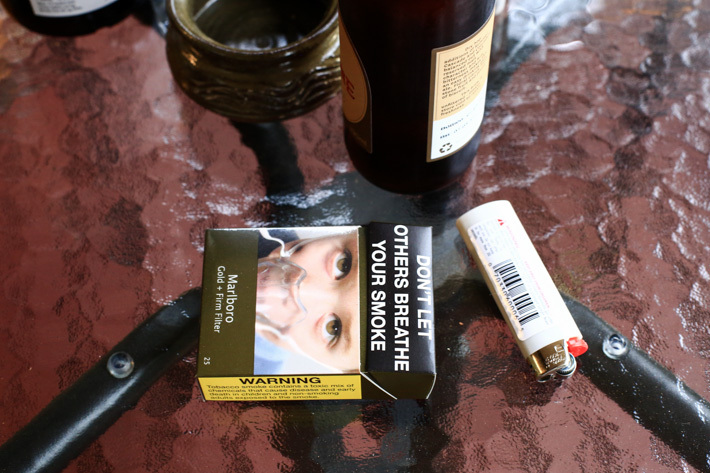 You’ll very rarely see people walking with a lit cigarette in hand and even if people do decide to light one up in public areas, they’ll always be holding on to a portable ashtray or even an empty drink container to dispose of their buds. Tourists take note: do not attempt to puff while you walk around because you will get judged and in some cases, even scolded by members of the public. Sexual harassment is unfortunately, a very sad and real problem plaguing the world and Japan has taken active precautions to order to protect women. One such precaution is their women-only passenger train cabins. 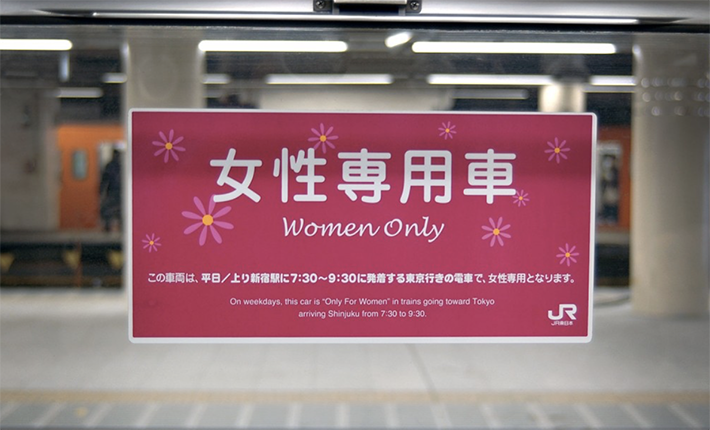 On some trains, in light of the morning rush hour, specific cabins are reserved for only females between a certain time in the morning—so be mindful before randomly rushing into a passenger car! Relating back to the topic of getting mugged or conned, another invaluable lesson we learnt is never to bring out the full amount of cash that you brought for the trip. Typically, we would ration out a sum of money for each day. If not, always keep an emergency 30% to 40% of your total cash back in your hotel, safe and secure. Having a safety net financially is never a bad idea and who knows what might happen. The folks who man these tourist offices speak decent English and are almost always keen on lending tourists a hand. You can find them at most of the major train stations such as Shibuya and Shinjuku. Besides recommending places to visit, they’ll also tell you which places to avoid. 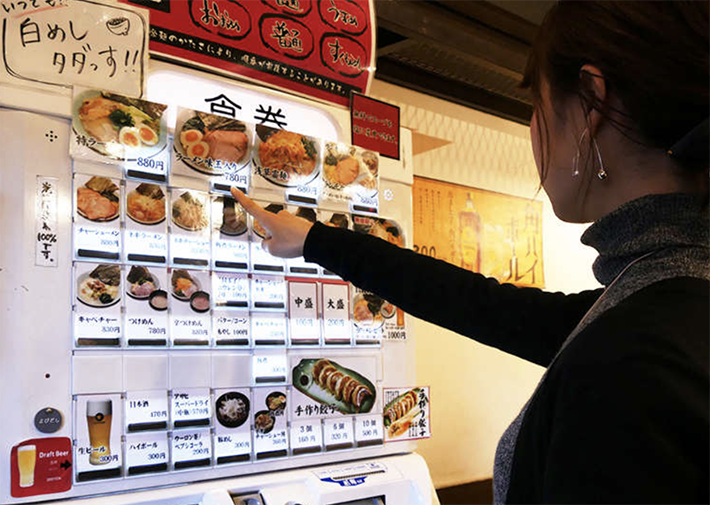 In many smaller eateries in Tokyo, ordering your food is as simple as helping yourself by means of a touch screen. Once you’ve chosen your food, simply insert your money and proceed to find a seat. Don’t wait around awkwardly or start waving your hands frantically because there’s no better way to say, “Hi, I’m an ignorant tourist.”, then by doing that.